Slow-cooked ragu served over cheese-filled ravioli. My slow cooker has been a life saver during the past couple of weeks. I call it “Old Faithful” because I’ve had it for a long time and it just keeps on going and going, working for me, while I’m busy attending to other things. On those days when I planned on baking several batches of cookies, I would get something started in the slow cooker early in the day, then not worry about dinner except for some finishing touches. Maybe, like me, you’ve had some disappointments using a slow cooker. Rather than getting an entree that’s luscious and tasty, it emerged rather tired, defeated and exhausted. Unless you are following a recipe specially written for a slow cooker that can happen because of the added moisture that a slow cooker/crockpot produces. Meat can also become dried out and stringy instead of tender due to overcooking. So how do we solve those problems? First I’ll talk about the four main ingredients, then I’ll give you a recipe for a well-seasoned meat sauce – a ragu- that you can use in a variety of ways. 1. Meats: For the slow cooker, select meats with a moderate amount of fat or internal marbling, such as chuck roast or pork shoulder. For poultry that is immersed in liquid, try to keep cooking time to about 4 hours; longer than that you will get dry stringy remnants. 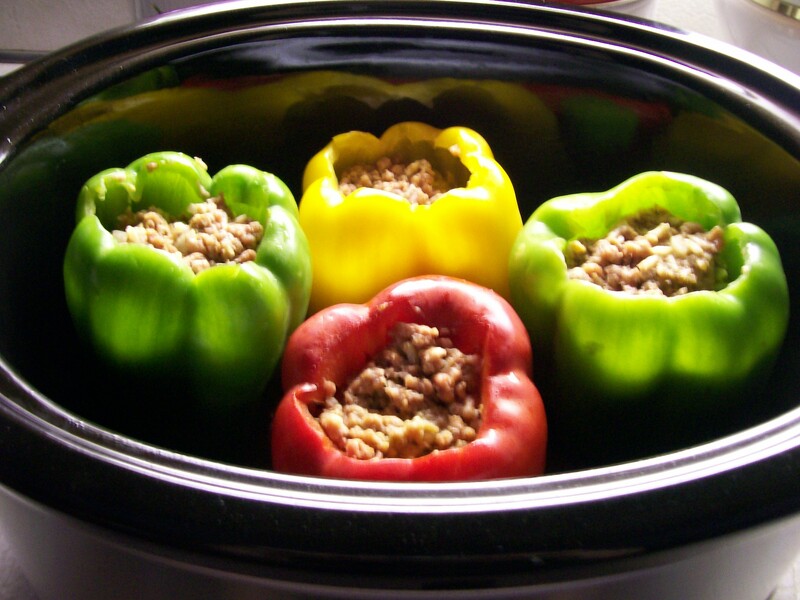 2.Vegetables: Only hearty vegetables like root vegetables can survive 8 hours in a slow cooker and they need to be cut into large pieces, not bite-sized. 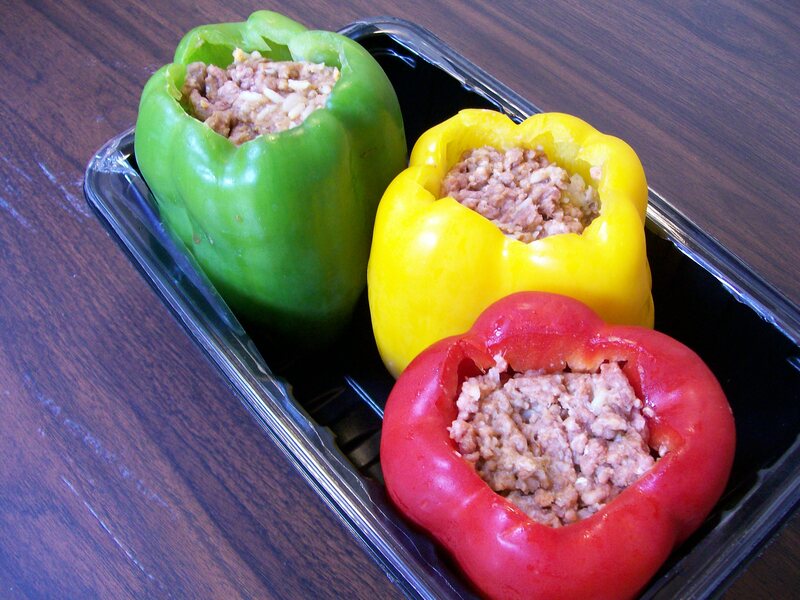 Place them in the bottom of the cooker with meat and sauce or liquids poured over the top. Other vegetables, like tomatoes, will stew down nicely and become sauce-like. Tender, more delicate vegetables like green beans, corn, squash, and greens should be added in the last 30 minutes of cooking time. 3. Seasoning: If a recipe calls for 1 teaspoon of oregano, use 2. 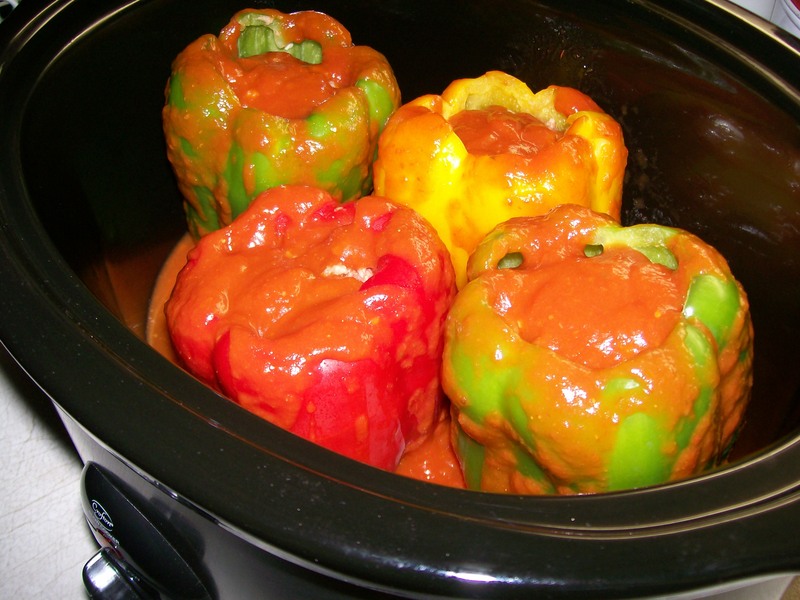 Slow cookers have a funny way of diluting flavor so you will need to add more at the start. When converting a conventional recipe for the slow cooker, double the amount of herbs or spices you think you need, even ones that are intense, like crushed red pepper. 4. Garnishes: When something looks good, it seems to taste better, so sprinkling a fresh garnish onto a completed dish is an easy way to bring the meal to life. Try using fresh herb leaves or sprigs, or ingredients with a crunch like bread crumb topping or crisp chips to contrast with the softer textures of the dish. The recipe for this meaty sauce is great ladled over any kind of pasta. I also use it when making lasagna, sometimes thinning it with traditional spaghetti sauce, and it makes the dish more hearty with veggies. It makes a large quantity and leftovers freeze well. 2 ounces pancetta, chopped. Use bacon in a pinch. 1. Place pancetta or bacon in a large skillet over medium-high heat; cook 4 minutes or until beginning to brown, stirring occasionally. 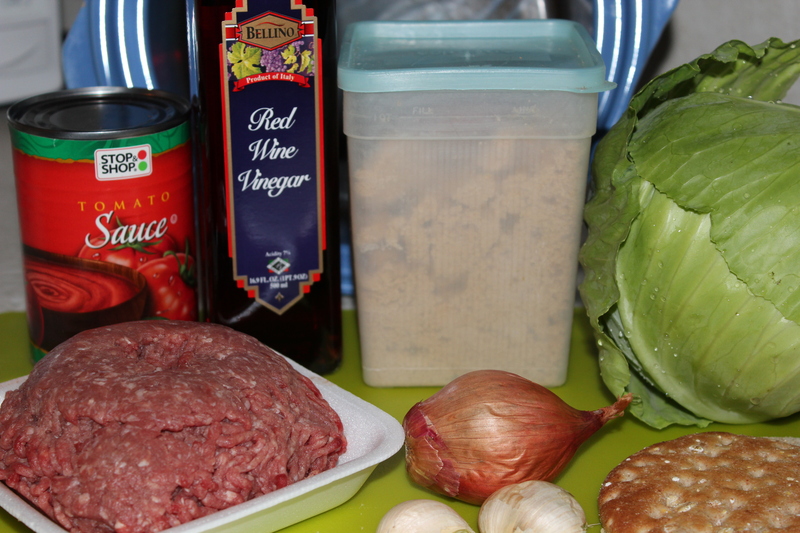 Add ground beef; cook 3 minutes or until browned, stirring to crumble. 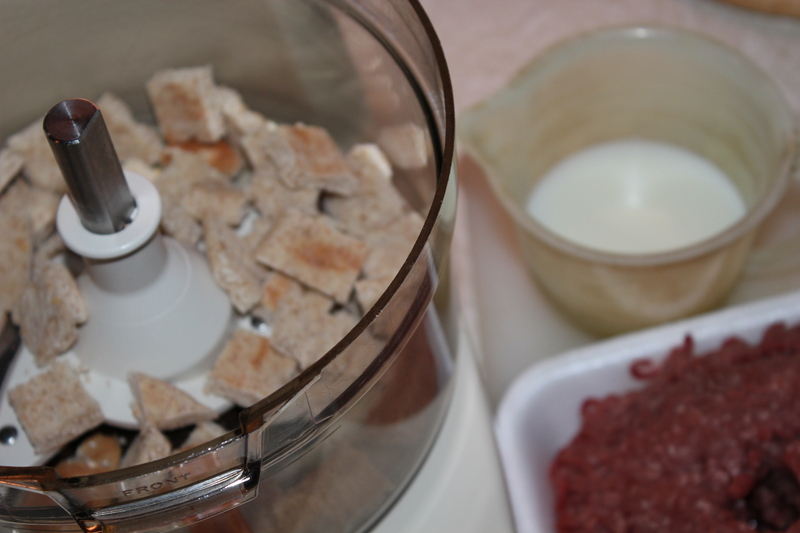 Place beef mixture in a 6-quart electric slow cooker. Browning up the beef with bacon. 2. Return skillet to medium-high heat. Add ground pork and sausage; cook 5 minutes or until browned, stirring to crumble. Add pork mixture to slow cooker. Browning the pork and sausage. 3. Return skillet to medium-high heat once again. Add oil and swirl to coat. Add onion, carrot, and celery; sauté 4 minutes. The big three: onions, carrots and celery. 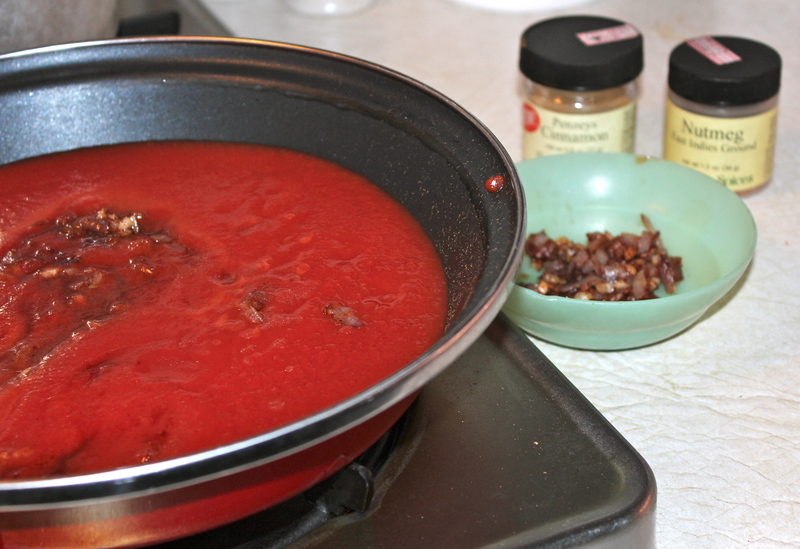 Add tomato paste and garlic; Cook 2 minutes, stirring frequently. Add wine; bring to a boil. Cook 2 minutes or until wine mostly evaporates, scraping pan to loosen browned bits. Add chicken stock, tomatoes, 3/4 tsp. salt, pepper, and bay leaf; bring to a boil. Carefully pour this mixture into slow cooker; cover and cook on LOW for 6 hours. Discard bay leaf. Stir in remaining 1/4 tsp. salt. Everything together in the crock pot. 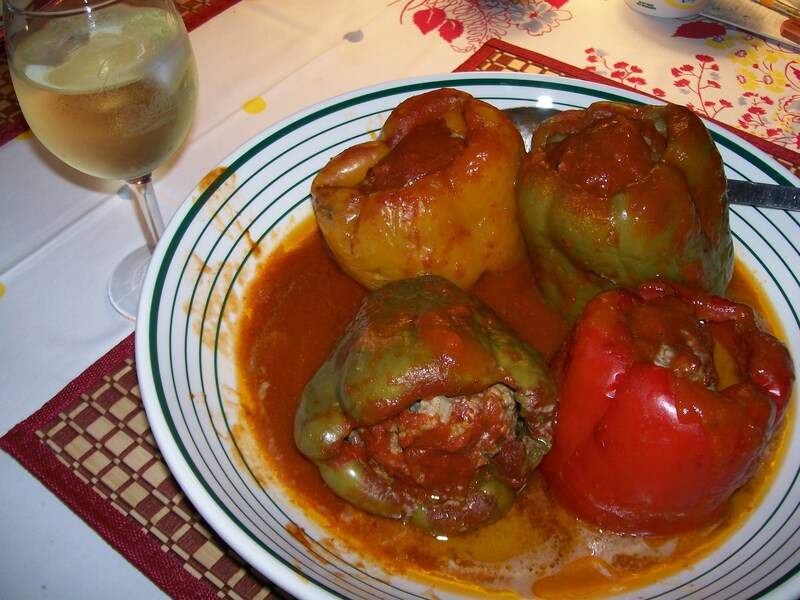 The hands-on time spent in the preparation of this sauce is about 30 minutes. Then you will need a few minutes before dinner to cook up some pasta. A great dinner without a lot of your time spent on preparation. I hope you enjoy it. Easy meal, yet so good!! This is one of my all-time favorite ways to cook pot roast. I use my slow-cooker and start it in the morning. When the weather is chilly, I am comforted by the aroma coming from my kitchen, especially if I have been out all day. A home cooked meal without a lot of fuss. 1. Sprinkle roast with 1/2 tsp. salt and 1/4 tsp. pepper. In a large skillet heat olive oil. Add beef and brown well on all sides. Remove from skillet to a platter. 2. In same skillet, add onions, and other vegetables. Sauté lightly just to get them browned. Transfer to the bottom of the slow cooker. In the same skillet, pour in about 1/2 cup beef broth. Heat and scrape up any browned bits from the pan. Pour into the slow cooker. 3. Place meat on top of vegetables. Combine remaining beef broth with the red wine, dried thyme, bay leaf, minced garlic and remaining salt and pepper. Pour over meat and vegetables. 4. 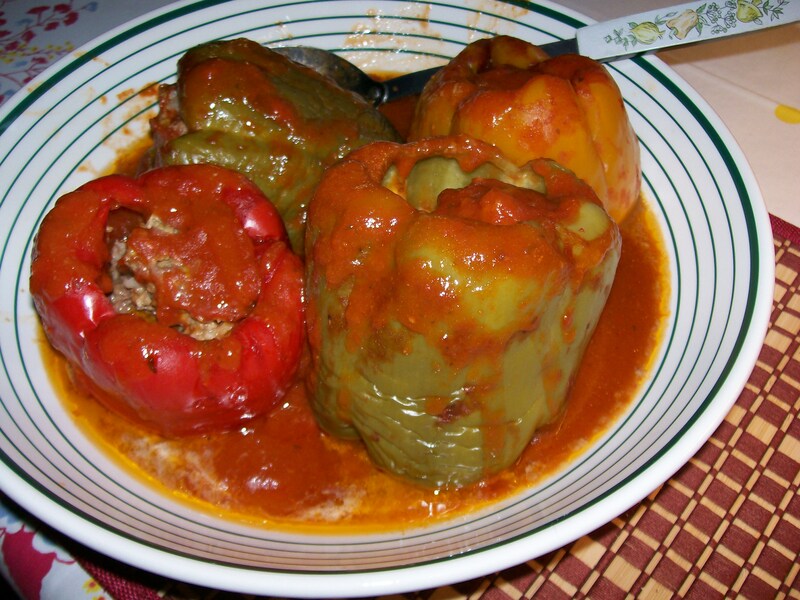 Cover and cook on low for 6 – 8 hours or until meat and vegetables are tender. Skim off fat. Discard bay leaves. If desired, thicken cooking juices, or serve along side meat and vegetables as “au jus”. Mashed potatoes served with this meal make this about the most comforting “comfort” food that I know of. The meat will be falling-apart tender, and the vegetables are tender with a deep rich flavor from the beef broth and wine jus. This dish is intended to be cooked in a slow-cooker. 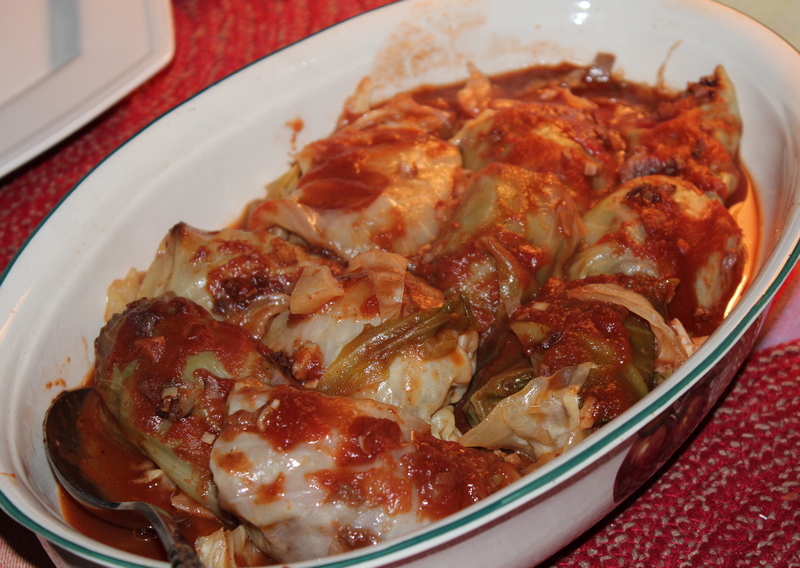 I can remember only one other time in my whole cooking-lifetime that I made stuffed cabbage rolls, and they, too, were cooked in a slow-cooker. On reading this recipe I was intrigued by the promise of sweet – sour combination of flavors, so I decided to give it a try. First off, let me confess that I don’t know my way around cabbage very well. Mostly what I do with it is make coleslaw, and I let my processor do the shredding for me. I also sometimes coarsely shred it with a knife to cook with Kielbasa. That’s about the extent of my cabbage repertoire. So what I’m trying to say is that I’m not very adept at shaping and rolling a filling into a cabbage leaf. If you are someone who can do this very well, please don’t laugh when you see the photos of my endeavors. After all, pretty doesn’t taste any better, does it? Secondly, there are several steps involved in getting everything ready to go into the crockpot–the recipe predicts a prep time of 20 minutes–but it took me much longer, about 30 – 45 minutes. Plan ahead if you are going to make this, or assemble it the night before and start cooking in the morning. Have all your ingredients ready. 1 medium onion, finely diced. I used a large shallot. 2 slices reduced-calorie wheat bread. I used one multi-grain wheat thin. 1. Bring a large pot of salted water to a boil. Boil cabbage 12 – 15 minutes, then drain well. Carefully remove outer leaves–you will need about 12. Remove tough stem from each leaf and set aside. Shred the remaining cabbage and place in the bottom of the slow-cooker. 2. Meanwhile, heat oil in a large non stick skillet over medium heat; cook onion 5 minutes. Cooking the onion , garlic and seasonings. Add garlic, cinnamon and nutmeg; cook 1 minute. Remove half of this mixture and set aside. Add tomato sauce, sugar and vinegar. Stir tomato sauce, sugar and vinegar into skillet and remove from heat. Use processor to make the meat filling. 3. In a processor, pulse bread and milk until a paste is formed. 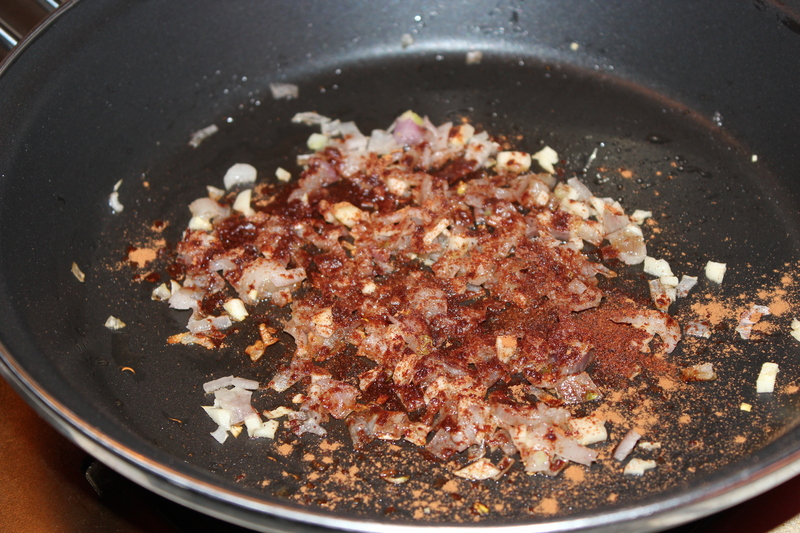 Add reserved onion mixture, beef, salt and pepper and pulse until well combined. 4. 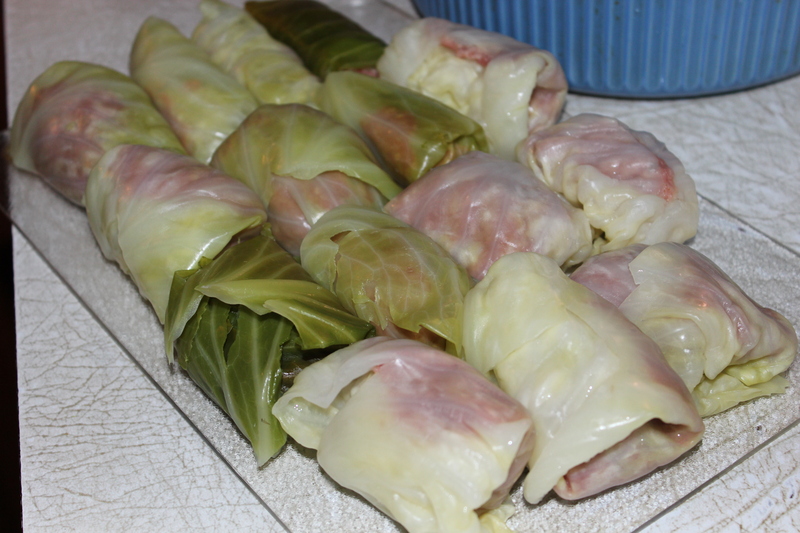 With stem ends of cabbage leaves facing you, place 2 heaping Tablespoons of meat mixture in center of each leaf and roll up. Meat filling rolled into the cabbage leaves. 5. Place rolls, seam-side down, in slow cooker. Pour sauce over all. 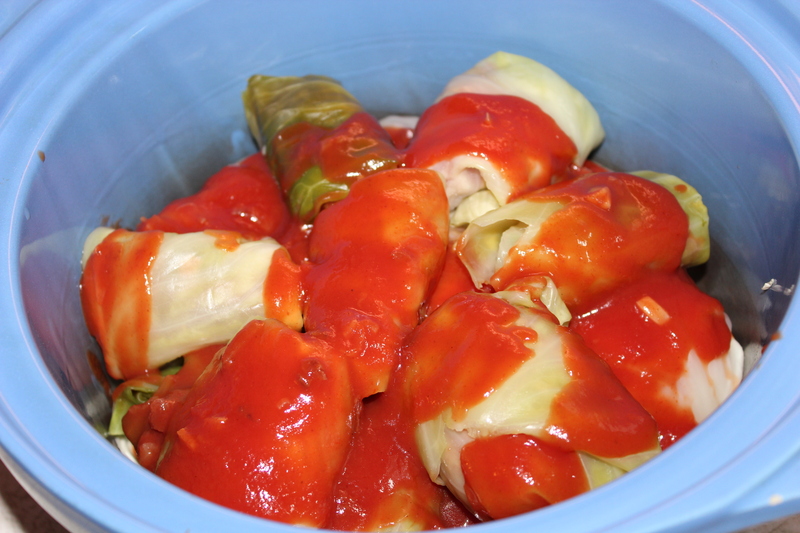 Pour tomato sauce over cabbage rolls in slow cooker. Cover and cook on LOW for 5 hours. Serve with egg noodles. Our assessment of this recipe: First I think the name of this dish is a misnomer; the flavor is more sweet than sour, but not overly sweet. Secondly, we both thought the meat filling was very compact and dense. If I were to make this again, I would not mix the filling in a processor, but instead in a bowl, like making meatloaf. It would then be lighter and more textured, perhaps adding some cooked white rice would help. 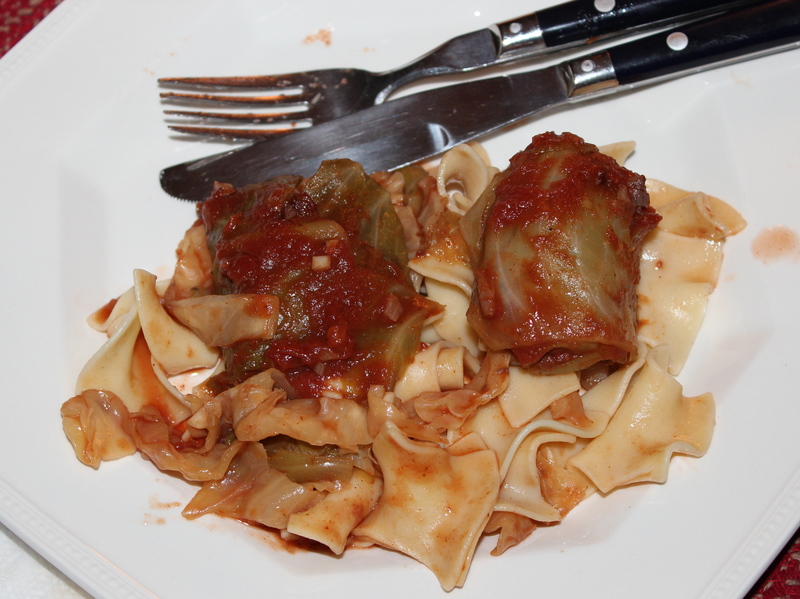 The tomato sauce was flavorful with a faint hint of the cinnamon, which I thought complemented the cabbage. When we ate the leftovers, I thought the whole dish tasted better the second time around, and the meat filling was more moist.